The entry fee is $100. After paying the fee, you will be given a set of building plans for the CAROLINA BATEAU so that your team can practice-build a boat or two before the competition. 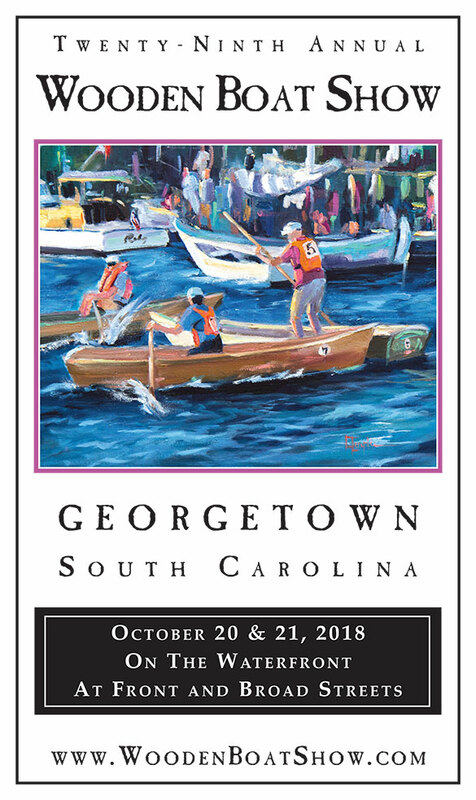 For more information contact us at 843-520-0111 or email boats@woodenboatshow.com. What is the Wooden Boat Challenge? 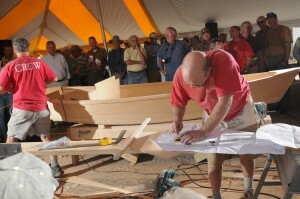 It’s a boatbuilding competition with teams of two battling each other and the clock to build a 12-foot rowing skiff – the CAROLINA BATEAU – within a four-hour time limit. The teams are judged on building speed, workmanship, and rowing speed when they test their completed bateaux for seaworthiness in a rowing relay on the Sampit River. At the end of the day, cash prizes are awarded to first, second and third place winners. The Challenge begins at noon with the command “Gentlemen, Start Your Skil Saws” which sets off a din of circular saws and swirling sawdust as the teams commence to build their bateaux fast and build them right. Quality counts for 1/3 of the points, speed of building for 1/3, and team rowing speed for the final 1/3. Each team receives a set of plans for the CAROLINA BATEAU when they pay their $100 entry fee and are encouraged to practice-build a boat before the Challenge. On the big day they are issued the same building materials. They provide their own tools, sawhorses, work tables, hull molds and home-made oars. Each team builds within a 12 x 15 foot space beneath a huge tent with hundreds of spectators cheering them on. Some teams finish, amazingly, in just two plus hours. The Challenge ends with a whistle at 4 p.m. The boats are judged for quality and, then, the teams carry their newly built boats through the crowd to the floating docks and lower them into the Sampit River for the rowing race that begins at 5 p.m. The Wooden Boat Challenge is open to men and women, family teams, boatbuilders, cabinetmakers and basically anyone with a competitive spirit and a love for sawdust, power tools and wooden boats. In 2007, the National BoatBuilding Challenge was organized by WoodenBoat Magazine as a circuit of regional boat building contests. So far, regional contests have been held in Belfast, ME, Georgetown, SC and Beaufort, NC. WoodenBoat Magazine hopes to expand the National BoatBuilding circuit to include more sites. Each team will consist of two boat builders. Each team will be assigned a space approximately 12’X 15’. All tools, tables and necessary building materials will be confined to this space. Each team will provide their own tools, both hand and power. 20amp service will be supplied to each team. All tools must be in good repair with all guards and safeties in working order. Any power tool is allowed except for pneumatic tools. Each team must bring their own sawhorses and worktables(s). No jig, pattern or automatic assembly mechanism may be used. Only manual caulking guns may be used to dispense adhesive and caulking material. Teams must bring their own caulk guns. All plans and building materials will be supplied by the National BoatBuilding Challenge Committee. The oars must be MADE by the team (not purchased); however, they should be made ahead of time. One set of 2-inch diameter oar locks and oar sockets will be supplied and may be installed after the team has blown the whistle to signal completion of the boat. Transom blank will be provided at the competition. Two station molds are needed and should be built before the competition. Boat plans are available to teams as soon as their entry fee is received. A team is permitted to be coached verbally, but the coach cannot physically assist the team in any way. PFD’s (life jackets) need to be provided by the building teams. The fee to reserve a workspace for the competition and receive the boat plans is $100.00 payable to the HHA (the Harbor Historical Association). Each team will be awarded points for their standing against other teams for simple elapsed time. First place will receive 1 point, second place will receive 2 points, third place will receive 3 points, fourth place will receive 4 points, fifth place will receive 5 points, and so on. Each team will be given a point score, based on the quality of the workmanship. These points will be compiled from the scores of each judge evaluating each boat, taking into account adherence to the plans. The lower the point score, the better the quality of construction and adherence to plan details. The point scores will then be converted to a ranking: ¾ points for the lowest point score, 2 points for second lowest point score, and so on. The race will be a relay on an even course with each team member rowing one leg each. The course will be short with simple straight lines and one turn. The points for this portion of the competition will also be awarded in the same manner as the speed portion of the Challenge. We look forward to you becoming a boat building “Warrior” this October in Georgetown, SC! “B” Coleman (Lexington, KY) is a dear and cherished friend of the Georgetown Wooden Boat Show. He has designed many of our competition boats over the years and is owner of SeaCo Yacht / Ensign Boats Inc. based in Lexington, Ky. “B” designed this year’s Challenge boat, the “Carolina Bateau”. 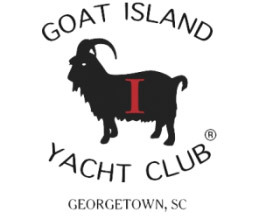 Reed Tiller (Georgetown, SC) is a Georgetown native and once worked for Jarrett Bay Boatworks based in Beaufort, NC. He currently manages Hazzard Marina and is a local harbor pilot. Tom Russell (Sea Level, NC) has been a cabinet maker for over 30 years. He has competed many times in the Beaufort Challenge and once in the Georgetown Challenge. He has judged the Beaufort Challenge and this will be his second time judging in Georgetown. He has made several scale models of the Carolina Bateau. John Vang (Beaufort, NC) is a wooden boat designer and boat builder for the North Carolina Maritime Museum where he also teaches traditional small boat handling. John builds museum quality boat models on commission. Jack King (Beaufort, NC) is the manager of the Atlantic Veneer Mill Outlet, providing structural marine grade lumber and plywood to eastern North Carolina’s coastal boat building community. He was a key player in bringing the National Boatbuilding Challenge to Beaufort, NC six years ago and has been the Event Sponsor every year. In year two of the Beaufort Challenge, Jack initiated a competition among the three local high schools in the county and created the Beaufort High School Boatbuilding Challenge. In year three, Jack instigated a boatbuilding program for the local middle schools, with the aid of local boat builders. He is a founding board member of the North Carolina Boat Building Heritage Foundation which provides scholarships to boat building programs (so far, at Carteret Community College and Cape Fear Community College). Last year, Jack was instrumental in getting the new state accredited boatbuilding classes in the three local high schools. We welcome Jack and his expertise to this year’s team of judges. Our master of ceremonies, Rob Dwelley, has been part of competitive boat building since 1982 when he ran the first Challenge event in Newport, RI. This first event was the idea of John Hanson of Maine Boats, Homes and Harbors magazine. Although Rob did not participate in the first two competitions, he started to compete in 1984, coming in second at both Newport and Norwalk. 1985 brought victory at both venues with a first in build time at Newport in 54 minutes on a builder-designed boat called “Origami Canoe.” He then won first at Norwalk in 2 hours-30 minutes on a Bolger Teal. This was before quality became a factor in the scoring. Rob and his partner rubbed salt into the wound by taking a lunch break at the 1-hour mark to give the competition a chance to catch up. Also, his team easily won the Teal event in Oakland, CA. In the water racing portion of the event, Rob’s team had a quick win using the sail design put on paper by designer Bolger. Rob’s competition thought they could improve on the Bolger rig. The Bolger recommended blue tarp and duct tape sail just barely stayed together over the simple windward/leeward course, but the Bolger “Rube Goldberg” rig prevailed. Rob was (and is) deeply addicted to competitive boat building and has spent time looking for other venues in which to compete. 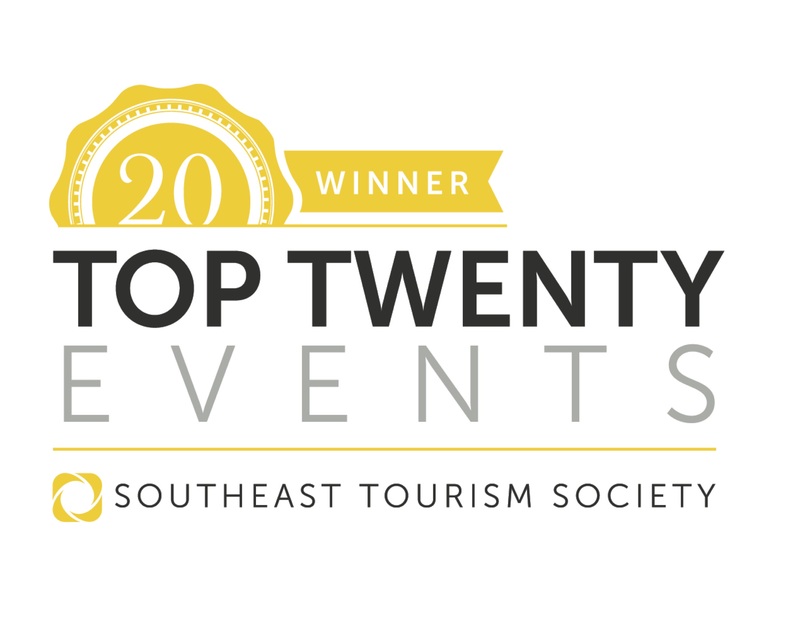 He has also been instrumental in helping build the successful events in Georgetown and Beaufort, NC that we have today. When not building, Rob has given much time to Hurricane Island Outward Bound as both an instructor and a boat driver. His Coast Guard license has let him drive many ferries over the years. He also delivered a NY 40 (Herreshoff design) from Italy to Maine, surviving a dismasting in Penobscot Bay. He has also been a boat driver in the oil patch of the Gulf of Mexico. After all his experiences and ventures, Rob has a passion to make sure the next generation learns the skills of working with their hands and experiences the joy of a job well done. His respect for each builder is both deep and sincere.